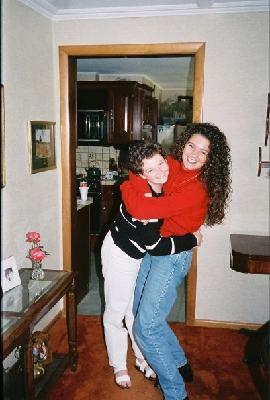 Nicole Hutchinson (right) hugs younger sister Darcie in an undated family photo. 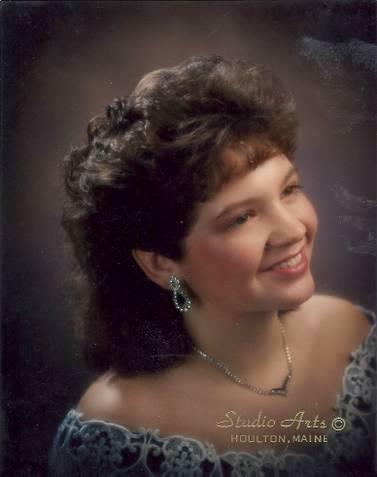 Darcie Hutchinson is shown here in her senior picture. Hutchinson was just 21 when she was killed by a repeat offender drunk driver in Connecticut in 1996. HOULTON, Maine — Nicole Hutchinson still tears up when she thinks about the last time she saw her younger sister. It was in July 1996, at a family reunion in Houlton. Her youngest sibling, 21-year-old Darcie, was getting ready to drive back to Connecticut. where she had been living for a few years. The two of them were inside the store their family operated on U.S. Route 1, and Darcie pulled Nicole into the walk-in cooler. The sisters never made that planned date, because Darcie Hutchinson was dead. She was killed Sept. 13, 1996, when a repeat drunk driver with a blood alcohol content of .207, more than twice the legal limit in Connecticut, plowed into her compact car and crushed it against a telephone pole on Route 32 in Montville. The driver, Robert A. Milefski, who was 56-years-old at the time, had been drinking at a local bar. Hutchinson, who was engaged to be married, lived within a mile of the crash site. She was pronounced dead at a local hospital. The family’s pain was even more potent because circumstances allowed Milefski to get right back in his vehicle and continue driving after the crash. He was only taken off the road when he was sentenced to five years in prison for manslaughter with a motor vehicle and driving while intoxicated. It was the stiffest drunken driving related sentence ever imposed in the New London judicial district at the time, but a sentence the family maintains was too light. Milefski expressed no remorse and uttered no apologies at his sentencing, which was attended by 60 people from the Houlton area who drove eight hours for it, with a petition signed by 700 local residents asking for the stiffest sentence possible. The judge also received 100 letters written on Hutchinson’s behalf and recommended to state officials that Milefski never again hold a license. Nicole Hutchinson said that it took her quite awhile to have a “good, long cry” over her sister’s death. The 32-year-old nonprofit organization works to prevent drunk driving, educate others about the consequences and strengthen OUI laws across the nation. For the 10th year, Hutchinson will take part in Walk Like Madd in Raleigh, NC, on April 14. The walk raises money for the organization. Hutchinson, who coaches a youth soccer team, has recruited her team once again for the walk, which they all complete in Darcie’s honor. Hutchinson is hoping to secure as many donations as she can and has already raised $3,420. Her brother, Jasen Hutchinson, is also completing the walk, and a group in Houlton will conduct a walk of their own that same day and donate the money they raise to MADD. Hutchinson said that she can’t believe it has been 16 years since her sister’s death. When she thinks of her, she sees a beautiful young woman with a mop of curly brown hair and a wide, cheeky smile. Hutchinson started a foundation in her sister’s honor, which funds educational events centered around drunk driving and dating violence. The road leading to the state police barracks in Houlton is named Darcie Drive, as her parents, Carl and Marie Hutchinson of Houlton, owned a parcel of land that the barracks now sits on. During Milefski’s trial, a representative from MADD helped the Hutchinson family navigate the court system. Nicole Hutchinson now does a lot of work for the organization, including helping law enforcement with drunk driving checkpoints. She is working to become a certified victims advocate so that she can help families through the legal system, just as the MADD representative helped her. Hutchinson said that she is thankful to have her teammates completing the walk with her, and also for the support she receives from people in Houlton and the surrounding communities. To donate to Nicole Hutchinson, visit http://support.madd.org/site/TR/WalkLikeMADD/WalkLikeMADDwlm_?px=1305783&pg=personal&fr_id=2970. People can also mail checks to MADD, attention Lori Brown, 5104 Western Blvd., Suite B, Raleigh, N.C., 27606. Please put Darcie Hutchinson’s name in the memo section. The April 14 walk in Houlton will begin at 2 pm at the Houlton High School parking lot. For more information, contact Heather at hcamp21@mfx.net.